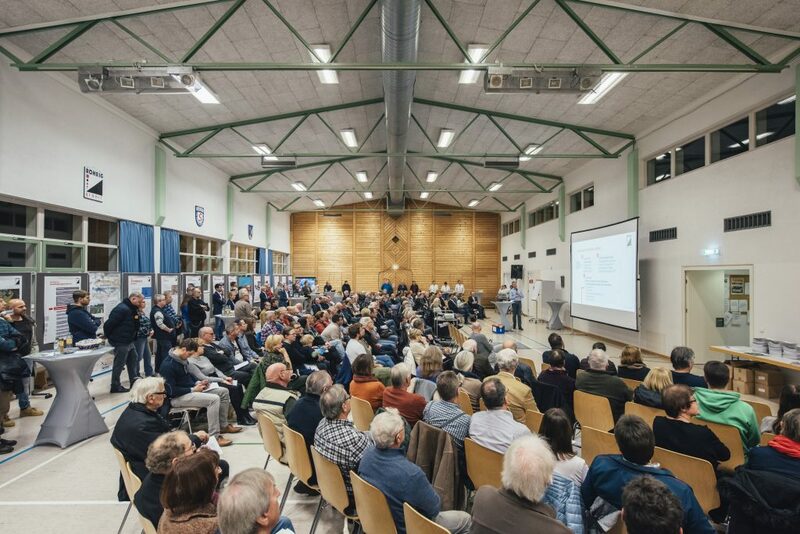 Around 250 citizens accepted the invitation to the RÖHRIG granit information event on November 20, 2018. The topic was the planned extension of the quarry toward the south. 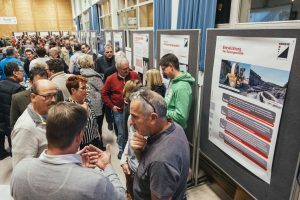 The concrete plans were presented in the village community center in Sonderbach. Local residents, neighbors, suppliers, and customers from the region also had the opportunity to discuss their questions directly with company representatives and other experts. And this is how the planning looks like: after the necessary preparatory work had been carried out in recent years, the application for the expansion is expected to be submitted in spring 2019. Before submitting the application, it was essential to inform the interested public about the project, and to answer their most pressing questions and concerns. 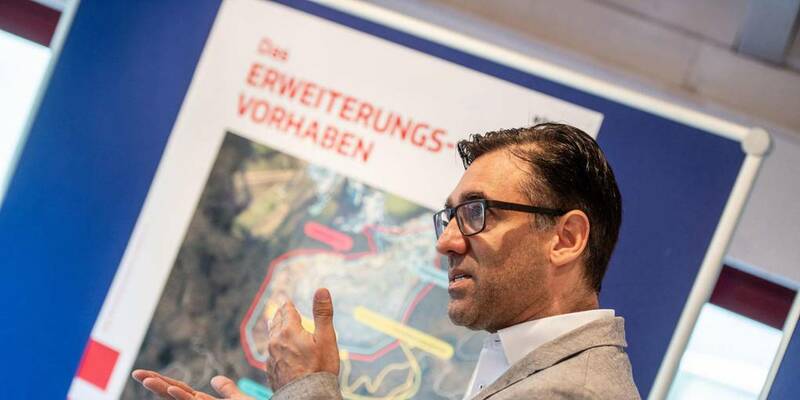 At the beginning of the event, Managing Director Marco Röhrig welcomed the guests and underlined the importance of the expansion project for the company. In order to be able to continue production at today’s level, an expansion would be necessary. With the protection of the site also the 90 jobs, the raw material supply of the region, and the supply of the customers with the high-quality products from the refinement plant could be guaranteed for years. Afterwards, project manager Martin Buschmann from the Aachen engineering company SST presented the concrete plans for the expansion. The plan is for an additional area of 6.2 hectares in a southerly direction. In the second part of the event, the citizens had the opportunity to obtain information about the company, the expansion project, and its activities in the fields of blasting technology, dust, noise, and protection of species at various information stands. In addition, the company explained all measures to reduce dust and noise emissions, as well as further steps to keep the vibrations at the same or similar level as today. Company representatives and external experts, including from the Nature Conservation Association (Nabu), answered questions at various information boards. Many interested parties used the opportunity for an intensive personal exchange – before, during, and after the event. Topics included the measurement of vibrations and dust emissions, long-term corporate planning, and nature conservation issues. If you were unable to attend the event, you will find the most important information about the project here. 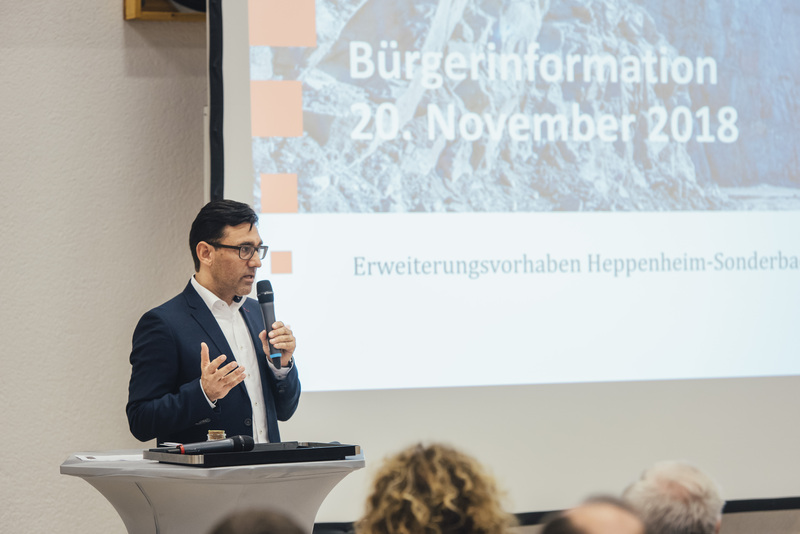 At the end of the event, Marco Röhrig offered again to continue the dialogue with the citizens if there are further questions regarding the enlargement.